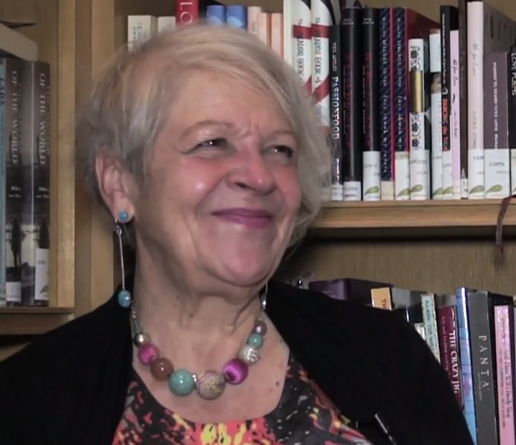 Scots Makar, Liz Lochhead, talks about the importance of learning poems off by heart, illustrating her point with a snippet of Robert Burns’ poem A Man’s A Man For A’ That. Although going to Glasgow School of Art, and continuing a career in art tuition, Liz Lochhead always wrote and performed poetry. She was a member of the prestigious writer’s group initiated by Philip Hobsbaum and which included the new talents of Alasdair Gray, Tom Leonard and James Kelman. In her career, Lochhead produced many volumes of poems, as well as monologues and performance pieces. Her works have paved the way for female voices within poetry, and she has been celebrated for her style of performance.